When it comes to aftermarket lighting, misconceptions regarding terminology and replacement still remain within the trade, which naturally gives motorists mixed messages and can potentially sow seeds of doubt in their minds. In order to help tackle the issues, ELTA Automotive, the company behind the newly launched VISIONPRO brand of vehicle vision products, has issued the following information. HID systems, also known as gas discharge bulbs, provide 200% more light on the road than a standard halogen bulb. Unlike these bulbs, an HID system uses xenon gas, which is ignited by creating an electric arc between two electrodes. HID headlamp burners produce between 2,800 and 3,500 lumens, from between 35 and 85W at 12.8V, compared to between 700 and 2,100 lumens using 40 to 72W for a standard halogen. 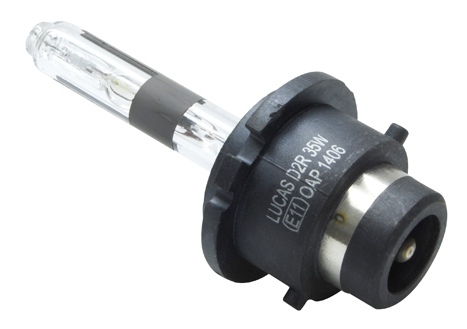 HID bulbs are designated as either ‘S’ burner or ‘R’ burner. An ‘S’ burner has a plain glass shield and is used in projector type optics, whereas ‘R’ burners are designed for reflective type optics and have an opaque mask on certain parts of the shield to create the cut off boundary near the top of the low beam. 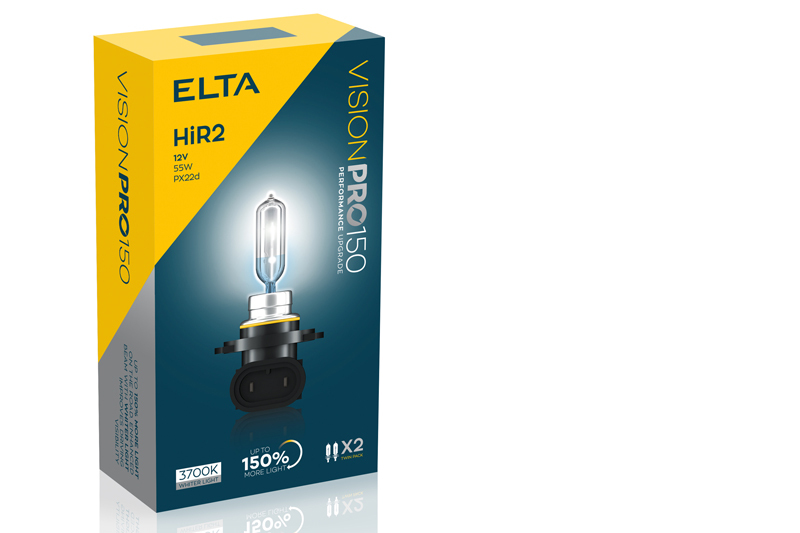 Just like their OE counterparts, ELTA’s recently launched VISIONPRO HID bulbs provide 200% more light on the road than standard halogen bulbs, as well as the same average life of around 2,000 hours. Encompassing both projector (S) and reflective (R) type optics, the range includes D1R, DS, DR, D2S, D3R, D3S, D4R and D4S, plus the latest D5S and D8S versions, alongside upgrades offering a boost in Kelvin temperature up to 6,000 or 7,000k, for a modern blue tint. Due to the enormous voltage required to ignite an HID bulb, some workshops steer away from replacing them and refer their customers to the dealer, which is not only costly, but completely unnecessary. As long as the correct protocol is followed, the replacement is no more complicated – or hazardous – than a halogen bulb replacement. In fact, as stated in the ELTA TECHASSIST bulletin, it’s as easy as one, two, three. First, turn off the ignition and remove the key. Second, switch off the lights. Third, remove the lighting fuse/fuses to isolate the HID circuit. By following these three steps, and replacing both headlight bulbs at the same time, technicians can undertake the work in complete confidence, while workshops can provide a great service to their customers and make a profitable contribution to their business. One of the distinguishing features of the modern vehicle is the white light emitted from the headlights. Upgrade bulbs provide workshops with a legitimate opportunity to offer their customers an attractive option to modernise the look of their cars, while also improving the real-world visibility for the driver. Where the confusion can arise is with the assumption that upgrade bulbs, such as the VISIOPRO50, 150, BLUE and BLUE+, are 50% or 150% brighter. In fact, to conform to the necessary E- mark specification for road use – which these bulbs naturally do – their brightness must be within plus or minus 10% of the original equipment bulb. However, where these upgrade bulbs really benefit driver visibility is with the amount – plus 50 or 150% – and spread of light they provide on the road up to 75m in front of the vehicle. This extra light, rather than extra brightness, means they can see obstacles sooner and road signs more clearly, making night driving safer. For more information concerning VISIONPRO or VXPRO, or any of the other brands within the ELTA Automotive product range, click here.